Google Olympic Rio de Janeiro Updates: The Product manager, Jonathan Livni posted about On the google official blog about this with the title “Let Google be your guide to Rio de Janeiro.” Scroll down and get the information in short and get the official post link. 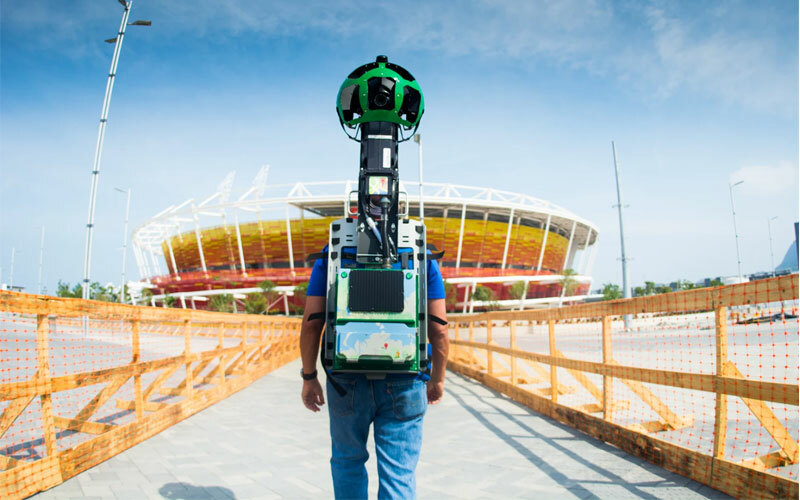 The above image shows that “Google Trekker operator captures 360-degree imagery from inside Rio’s Olympic Park.” The 2016 Olympic games will be scheduled to begin next week. Here, google will help us to get up-to-date moments about in and around Rio Olympic 2016. The First page of Google search will ready to present the updates such as Live broadcasting TV channels and schedules, Information about athletes, events, medals and YouTube highlights, Google map will help you to find out the venue. Google App will also help you to get updates for both Android and iOS users. The YouTube Highlights will be placed on the Google search directly. Google YouTube made partnership along with more than 60 countries broadcasters. It included the leads such as BBC (U.K.), America Movil (Latin America excluding Brazil), NHK (Japan) and many others. The Mobile Live Streaming will also help you to get the Olympic Rio highlights. Google arranged the 360-degree videos also for the fans who all live in their homes. Stay tuned for More Updates about Olympic Rio de Janeiro!